North City Tech Meetup, Monday, October 1, 2018, 7:00pm to 9:00pm. Shoreline Public Library, 345 NE 175th St, Shoreline 98155. Blockchain technology has been driving a growing investment and startup frenzy over the past three years. This was highlighted recently with the exponential growth and volatility in valuation of the currencies and tokens based upon blockchain protocols. This talk will introduce the concept of a blockchain and why solutions based upon this evolving technology are positioned to become as revolutionary for management of value exchange and trust transactions on the internet as HTML was for information exchange. Resources to develop a basis of understanding for our discussion. “How the blockchain is changing money and business” Don Tapscott – Ted talk. 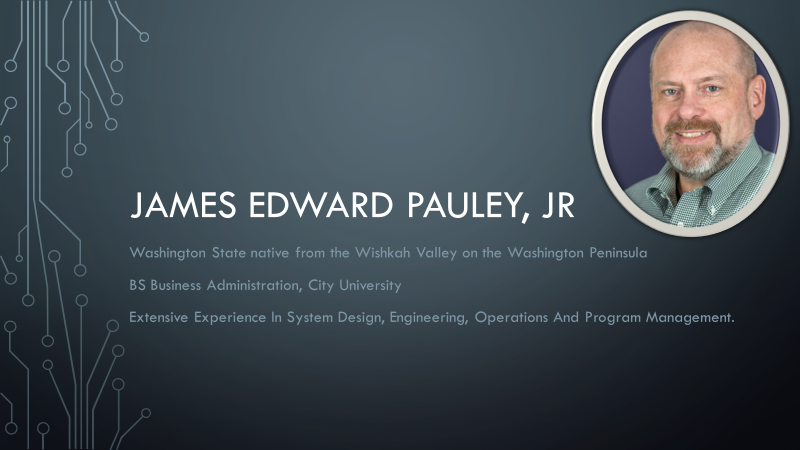 James Pauley is a retired Microsoft employee and founder of Sojourn Information Systems. He is a blockchain and crypto currency professional and consults on blockchain and cryptocurrency-based solutions for business and individuals. The North City Tech Meetup is a free meetup, usually the first Monday of each month at one of the North End libraries: Shoreline, Lake Forest Park or Kenmore.